As we’re about to enter 2018’s final quarter, the year’s final batch of flagships will launch soon. One device that will see a launch next month is the Xiaomi Mi Mix 3. Leaks suggest that the Chinese manufacturer will introduce new features on the Mi Mix lineup with the smartphone. Now we’ve got another report for the Mi Mix 3. Head over below for more details. 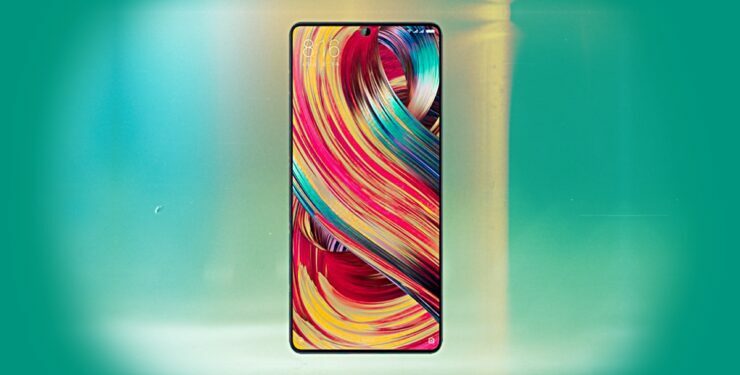 A lot of leaks have taken place for the Xiaomi Mi Mix 3, over the past couple of months. These suggest a variety of new features for it and a new design language for the lineup. Xiaomi will completely remove display bezels from the smartphones by choosing an edge-to-edge panel. To accommodate the smartphone’s front camera, the company will use a sliding mechanism. This mechanism will allow the user to manually bring the front camera out when it’s needed and put it out of view when it isn’t. Now we’ve got a report that suggests another new feature on the Mi Mix 3. A new leak from Chinese social network Weibo shows what’s either the Xiaomi Mi Mix 3 or the ‘Xiaomi LEX’. While we’ve heard quite a bit about the former, this is perhaps the first leak that mentions the latter. Xiaomi’s decision to introduce an AI button for the Mix 3 (if it does) will bring the lineup one step closer to feature a complete flagship. However, Xiaomi’s virtual assistant, that it launched earlier this year is unlikely to make it to international markets. The Xiaomi Mi Mix 3 will launch with Qualcomm’s Snapdragon 845 just months before the San Diego chip giant will detail its first 7nm processor. Thoughts? Let us know what you think in the comments section below and stay tuned. We’ll keep you updated on the latest.